At Seeds of Hope, we believe in the starfish principle. By that, we mean that although the heartbreakingly devastating poverty we’ve witnessed on our visits to Kumi is not something that can easily be rectified, and there will always be more children who are in desperate need of help, we CAN make a difference to the lives of each child sponsored through Seeds of Hope. We’ve seen the difference the hope and security provided by COHAD makes. But, like we said, there are always more children in need of help, and our vision is to see COHAD operating at full capacity, providing hope and security for up to 80 children. To do that, we need more sponsors. Providing a home, food, education and health-care for a COHAD child costs £40 per month, but before you click away because that’s too much of a chunk out of your monthly budget, can we just take a moment to explain that it’s easier than you think to make a difference to a child’s life? Look at it this way: an average glass of wine costs somewhere between £4 and £5. 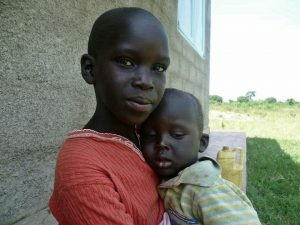 If you and three friends each gave up just two glasses of wine per month, together you could sponsor a COHAD child like Esther, who lost her parents to HIV/AIDS and is now flourishing at COHAD under the care of Mummy Micah. Spreading the cost of sponsorship between a group of friends – or family, or colleagues – makes changing lives in Kumi a more realistic endeavor. 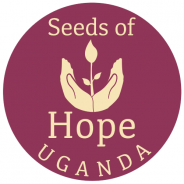 If you would like to find out more about sponsoring a COHAD child through Seeds of Hope, please get in touch or look at our COHAD and Sponsor a Child pages.